The Skin & Allergy Clinic at Upton Clinic offer the undoubted benefits of Chinese medicine in the treatment of both common and uncommon diseases of the skin – from a simple sun allergy to Lichen planus. Many acute and chronic disorders can be significantly helped and resolved by the correct use of Chinese herbs. Herbal medicine has been successfully used in the Orient for thousands of years to manage and benefit diseases of the skin. In modern times, specialist dermatology departments in hospitals throughout China use the holistic principles of traditional Chinese medicine to treat the widest range of dermatological conditions. Recent research in the West has also clearly demonstrated not only efficacy but the lack of side effects of this method of treatment. We also encourage you to read our Testimonials section to see the experiences and impressions of our past patients. Eczema. childhood eczema, atopic eczema (allergic), discoid eczema, pompholyx eczema (palms soles), stasis eczema (varicose), seborrhoeic eczema (including dandruff), contact and allergic dermatitis. Asthma, allergic rhinitis (hay fever), food allergies, urticaria angioedema. 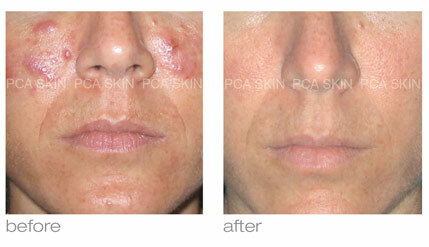 Rosacea & perioral dermatitis, polymorphic light eruption (sun allergy). Viral and bacterial disease: herpes simplex, herpes zoster, warts, moelscum contagiosum, pityriasis rosea. Fungal and yeast infection. ringworm of the body, groin, axilla, fungal infection of the feet, hands, nails, pityriasis versicolor, candida albicans. Lupus erythematosus, alopecia areata, bullous pemphigoid. Lichen planus (simple and hypertrophic). I have suffered with very bad Eczema on the palm of my hand and back of my legs for about 3 years,so bad that my skin was all cracked and covered by dry skin and would often bleed. a try and we got results with a combination of acupuncture and oral Chinese herbs and a herbal cream to stop the itchiness which actually worked unlikethe other creams I have tried. I began to see result after about a week and it continused to get betterand better and my condition now is the best it has ever been and is nearly completely gone thanks to Helen. Helen offers a great,friendly service and I would advise any one to give Chinese medicine a try.